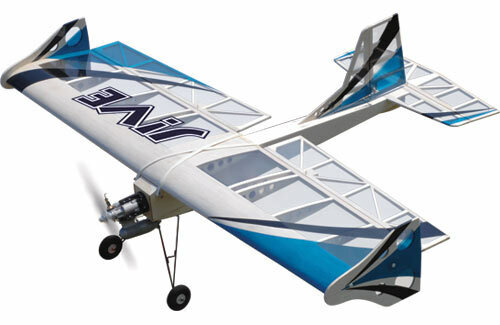 All Products > "A-ARTF6716 Ripmax Jive Funfly ARTF"
The J!VE has been developed for top level competition flying, but is equally well suited for the rough and tumble of normal club use due to its tough yet exceptionally lightweight construction. Designed with the ability to fly extremely slowly yet with outstanding manoeuvrability, the J!VE can take off and land on the smallest of patches. On low rates the J!VE makes a great second model, but increase them and it becomes a fantastic 3D/Fun Fly model. The large surfaces combined with light wing loading and forgiving handling mean you can try those manoeuvres you have only previously dared attempt on the simulator! 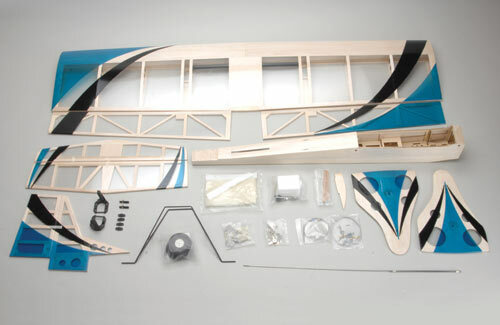 Every part of the design has been thought out with simple design ideas like a braced wire undercarriage to help absorb those less than perfect landings/touch & gos, to the use of a double layer of balsa sheeting in the centre of the wing so the wing bands don't cause any damage. The wing has been carefully designed to keep it both lightweight and tough. The aerofoil is thinner and has a different section to most traditional funfly models, allowing it to penetrate into the wind better on breezy days and increases the glide ratio. As with many modern 3D aircraft, the J!VE comes fitted with Side Force Generators (Tip plates) which act to increase the side area enough to allow the J!VE in knife edge, a first in its class! They also have another benefit, when the J!VE is turning tightly they reduce the tip stall and help the aircraft track better at slow speeds. This is particularly useful during limbo or touch and go competitions. Give the J!VE a go� you won't be disappointed!